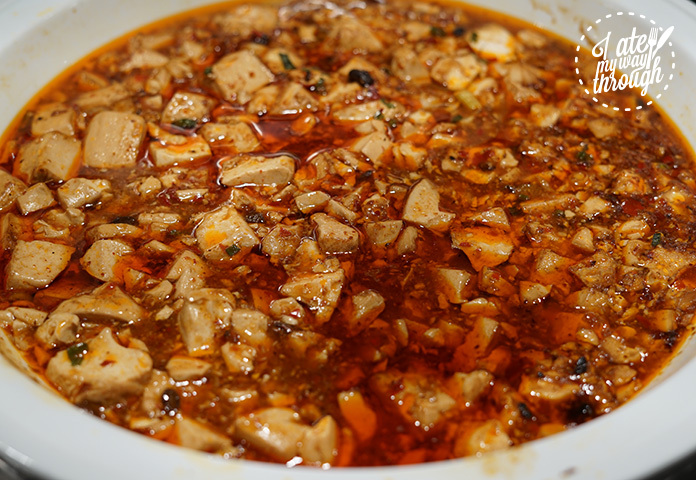 Sichuan cuisine is one of the most popular and most widely served cuisines in China. 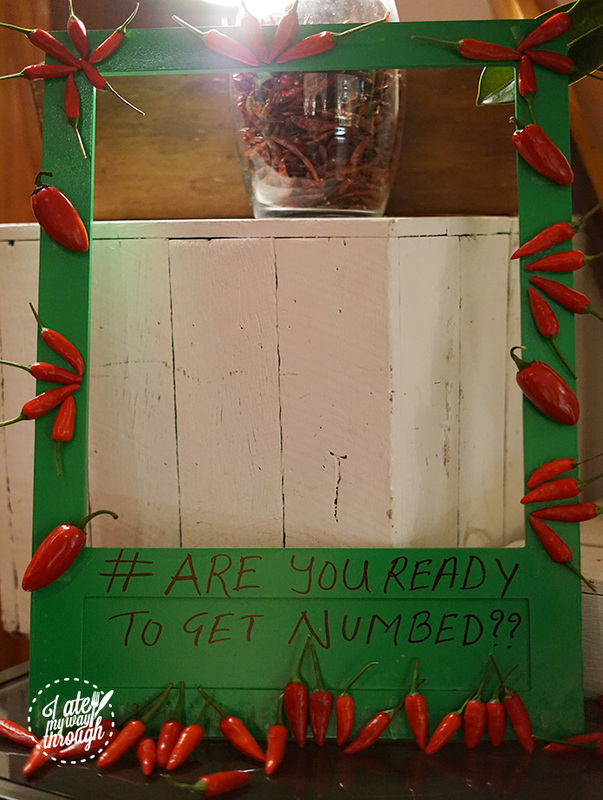 It’s reputation for being hot, spicy and numbing often precedes it. 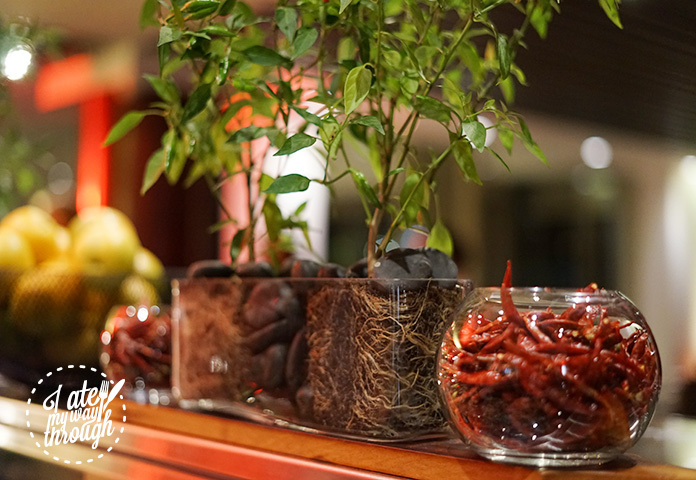 As a big fan of Sichuan cuisine, I was lucky enough to be invited to the Sichuan Food Festival held at Café Mix at Sydney’s Shangri-La Hotel. All the aromatic and pungent flavoured dishes were created by guest chefs from Shangri-La Hotel, Chengdu. 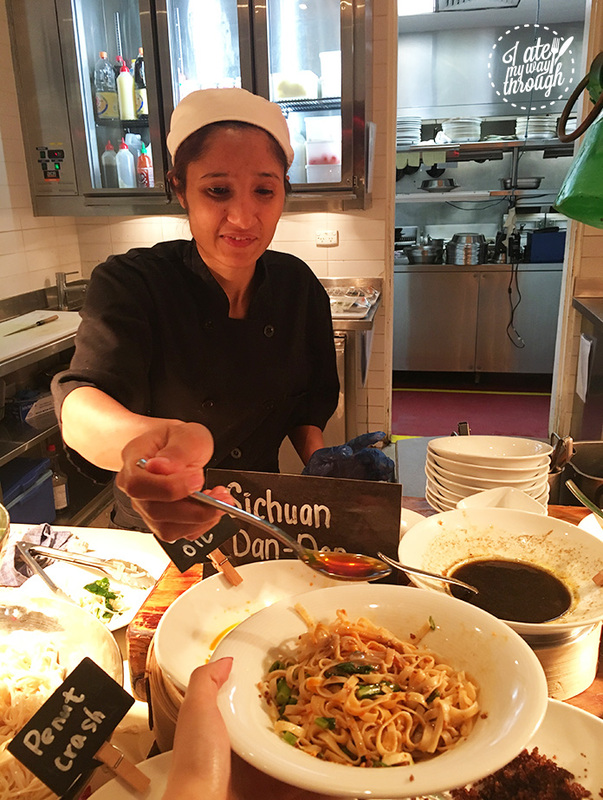 Yes, that’s right, the chefs flew all the way from Chengdu, China to showcase an authentic representation of the hot-and-spicy aromas of Sichuanese cooking for all Sydneysiders. 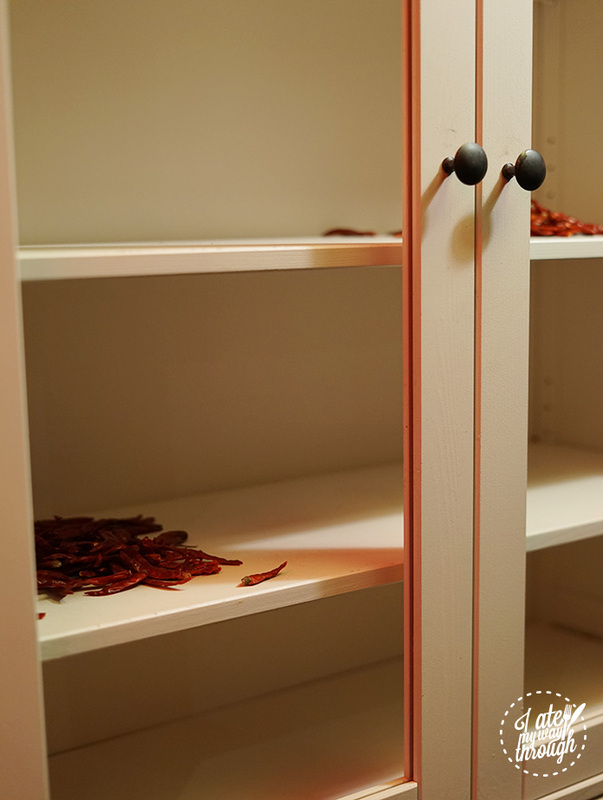 Looking around, the room was decorated with Sichuan’s key seasoning, chillis! As the saying goes, ‘one dish with one flavour, with one hundred dishes come hundred flavours.‘ Peppers, black peppers, chilis, broad bean chilli paste, shallots, ginger, and garlic are all core fundamentals to Sichuan cuisine, which is what makes the flavour itself so deep, rich and intense. We smelt the spiciness in the air before we even started dining. 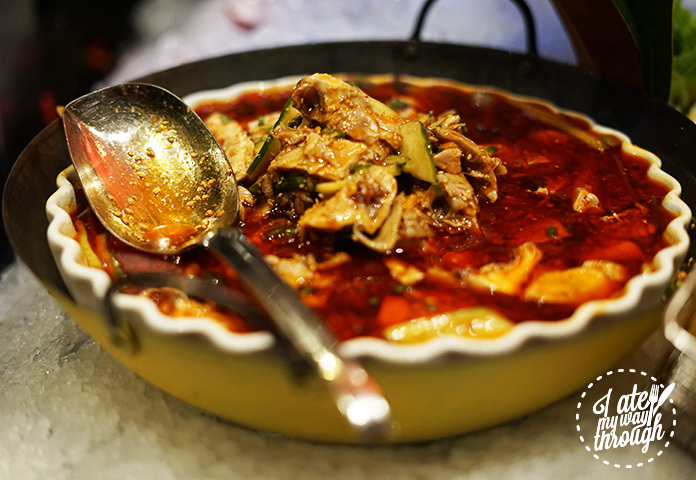 Apart from its hot and spicy flavour, Sichuan cuisine is also well-known for its numbing palate. The numbing flavour mostly comes from Sichuan peppercorns. This is also one of the reasons why I like Sichuan cuisine so much — the peppers bring a numbing flavour that accompanies perfectly with the punchy hot and spicy flavours. I love that the numbness slowly builds up on your tongue and saves your taste buds from getting completely insentient by the chilli. Now, are you ready to get numbed with me? The festival featured a sumptuous seafood selection for which Café Mix is known. 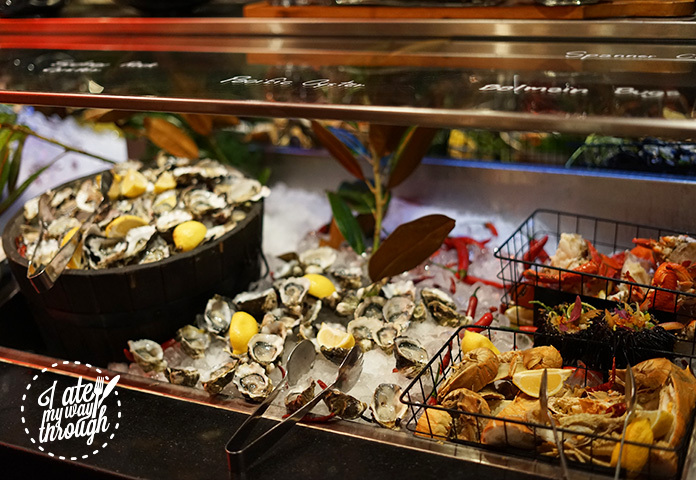 Blue swimmer crabs, black mussels, prawns, squid salad, pacific oysters and Sydney rock oysters; Café Mix never lets me down its fresh seafood, the perfect starter to a feast. 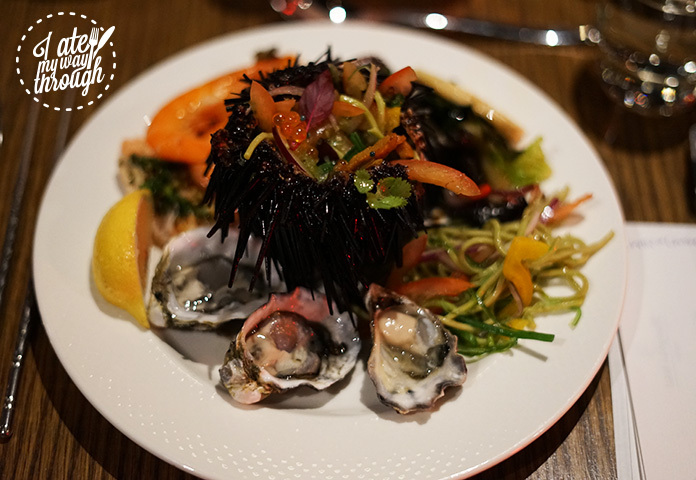 My favourite seafood item was the sea urchin noodle salad, with tomato, sweet peppers, seaweed, onion and caviar. The urchin was sweet, rich, and creamy, melting on my tongue into a briny pool of heaven. Normally I wouldn’t eat more than a few pieces as the sea urchin can get too rich, but the salad of veggies and noodles added a crispy flavour to the dish and it was absolutely AMAZING! 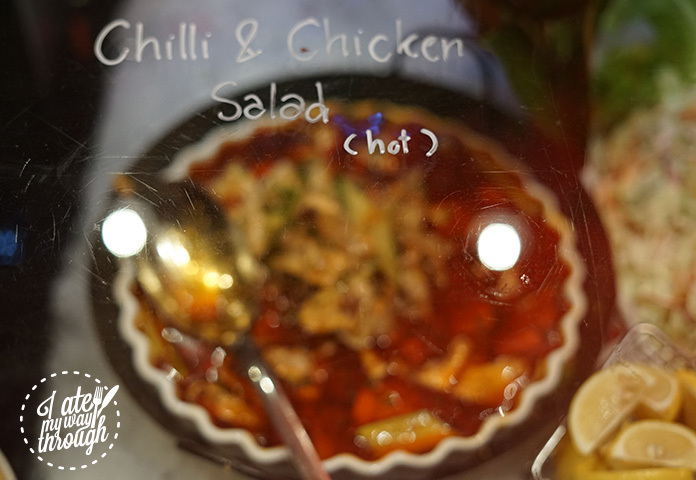 I liked how Café Mix noted ‘hot’ for this cold dish of chili & chicken salad (口水鸡). To be honest, although I’m a big fan of spicy food, I have never tried going hot from the very beginning. I plucked up courage to finally take the first bite of the salad and yes it was spicy but definitely not in a bad way! People say spicy foods can suppress your appetite and sometimes even produce a burning sensation on the skin and mucous membranes; thankfully, this dish was absolutely not the case. It’s much like having some kimchi before having Korean BBQ, the more you eat, the more you crave the mains. The succulent chicken was moist from being marinated in the spicy sauce and the cucumber and black fungus brought a refreshing crispiness to the dish, creating a harmonious union of flavours and textures. Although the intensity of this red chilli sauce may cause you to sweat just at first glance, let me assure you that it’s well worth breaking into a sweat for on this cold, windy and rainy autumn night. Since I had the spicy salad as starter, I decided to go all out with dan dan noodles （担担面） as my second dish. If you’re a noodle lover, then to forgo this spicy noodles would be a real shame. 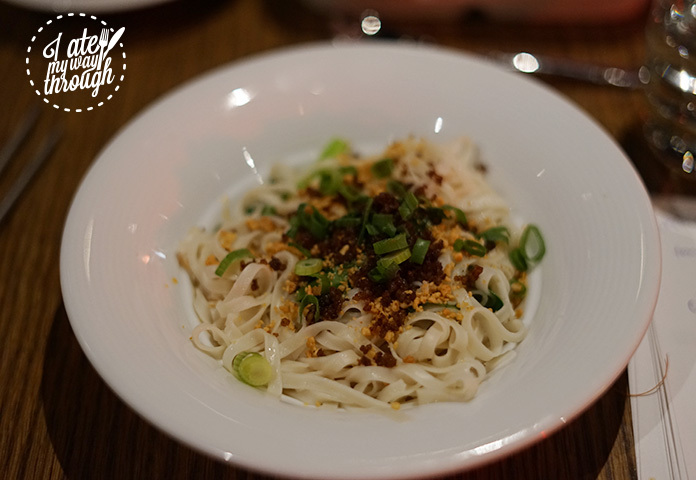 As a traditional Sichuan dish, dan dan noodles consists of a spicy sauce containing preserved vegetables, chilli oil, Sichuan pepper, sesame paste and/or peanut butter and minced beef or pork. 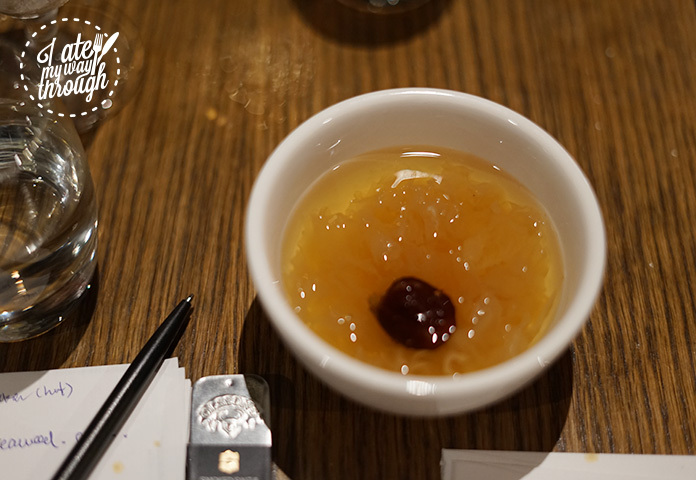 I prepared myself for wanting milk after my first bite as the dan dan noodles I had in Sichuan came swimming in a chilli-laced broth that seemed impossible to finish without constantly gulping water. The dan dan noodles here had more of a sesame sauce flavour than spicy, which I found very pleasant and easy to eat as I was able to enjoy the noodles while appreciating the other flavours in the noodles. I was also tempted to try the more spicy version for research sake, so I went to the noodle station and asked for more chilli sauce. The chilli oil I added wasn’t burning hot at all but perfectly accentuated the flavour of the minced beef. 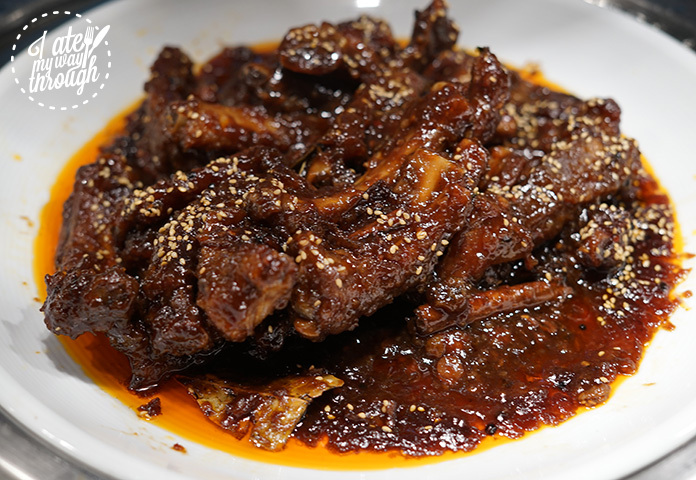 The stir-fried meat was crispy on the outside but still fairly tender inside, and the crispy-chewy texture and savoury, nutty, spicy, and smoky flavours were so enjoyable especially when the meat was soaked into the chilli oil and sesame sauce. We have an old saying in China: ‘心急吃不了热豆腐’, meaning ‘more haste, less speed’. It literally means ‘you can’t eat hot tofu without patience’. That’s the tricky part of tofu — the inside is still hot even if the outside is already cold. So you’ll want to pay extra attention to prevent your mouth and heart from being burnt. Luckily there was something to pair with if all the spicy dishes made your throat burn. Steamed rice or sticky rice would be the best choice. 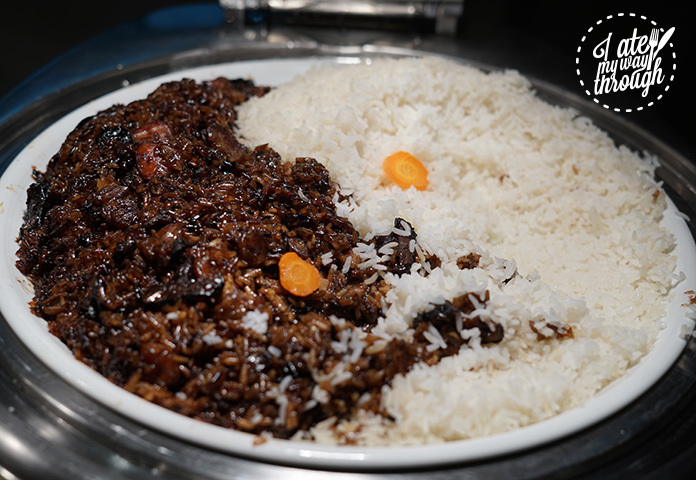 As a Chinese I can guarantee you, the firm and chewy textured rice can never go wrong and we absolutely LOVE it in any circumstances. Best of all, the rice can soak up all the wonderful flavours. The ultimate spicy dish according to the head chef was chilli chicken (辣子鸡). I mean, just look at those Sichuan chillis! The marinated, deep-fried pieces of chicken stir-fried with Sichuan chilli bean paste (doubanjiang, 豆瓣酱), Sichuan peppers, garlic and ginger and the chicken meat was crispy outside and just tender and plentiful inside. The pepper and chilli heat was powerful and snappy. If you ask me how to eat this kind of crazy hot dish, I have one advice for you — don’t stop eating. As each bite gets more and more tingling and spicy, you’re better off eating everything in one go as this dish itself is a one-shot wonder. One thing that really stood out from this dish was that although it was extra-spicy, it didn’t overwhelm me straight away. You feel the slow build-up in your mouth and the heat and numbing feeling will linger on your taste buds. The real beauty of chilli chicken is that it’s complex, addictive and absolutely surprising. 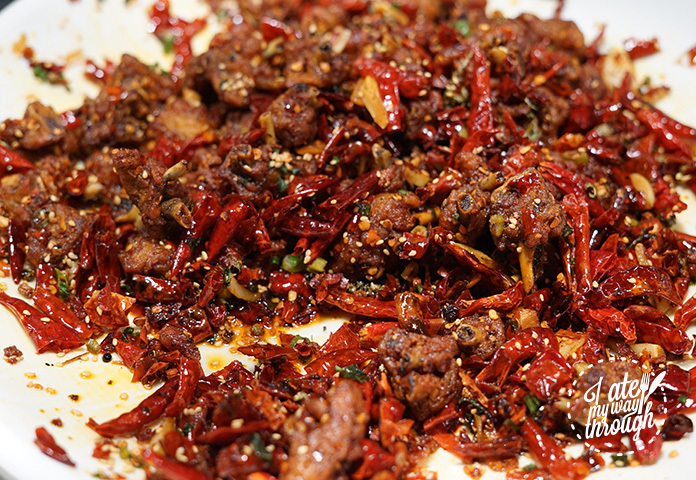 If you think there are only spicy dishes in Sichuan cuisine, then you’re completely wrong. 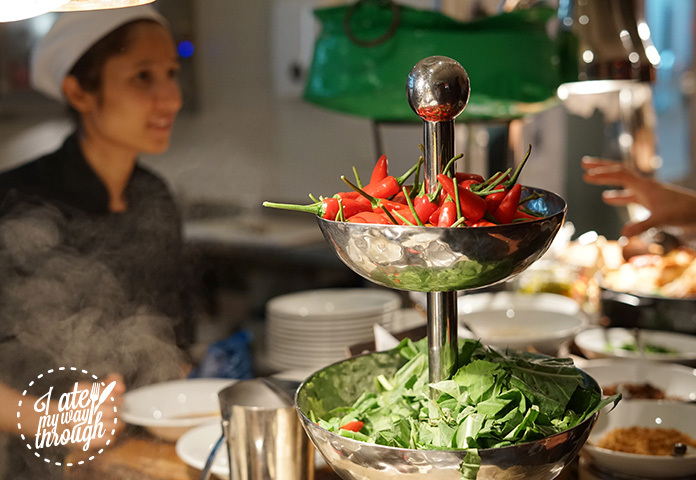 Café Mix also offered a bountiful of authentic dishes includes mix vegetables with bean-curd sauce, steamed grouper with shallots, braised beef with lentils and Sichuan beef brisket, to mention a few. The Sichuan beef brisket was indeed the best I have ever had! It was well marinated, bursting with subtle spice, and deliciously robust with the meat being mouth-wateringly tender and moist. Last but not the least, the desserts. There’s always room for dessert! There were two dessert bars as always, one Chinese and one western. 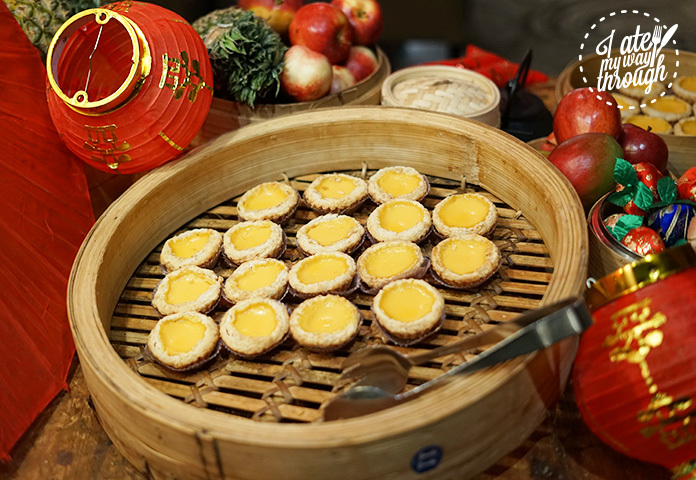 The Chinese dessert bar had my favourite egg tarts, which were handmade from Chinatown. As expected, I found crème brûlée straight away at the western dessert bar. 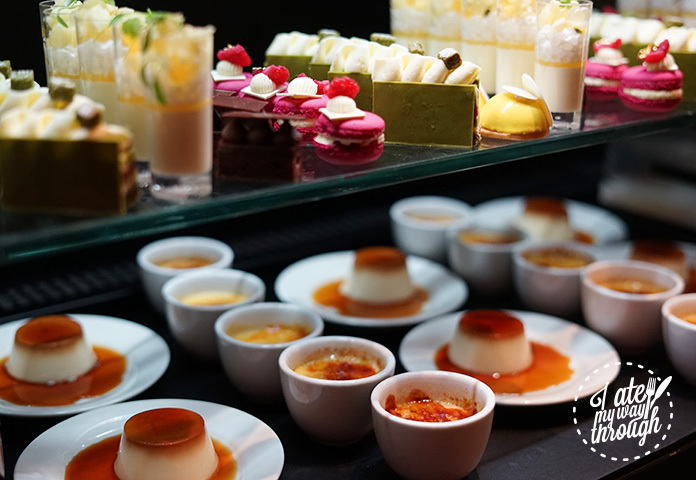 The director of communications at Shangri-La Hotel Deane Brosnan told us, all the desserts were created by the award-winning master-chef Anna Polyviou, who joined Shangri-La Hotel, Sydney three years ago. I was also delighted to see white fungus soup (银耳莲子汤); my mum used to make me this soup when I was sick. In Chinese traditional medicine, it has been used for more than 2000 years for small ailments. It is also said the snow fungus is beneficial to women’s skin. The soup was slightly sweet and the white fungus was soft and moist. This dessert is not only yummy but also nourishing, especially good for the throat and lungs. 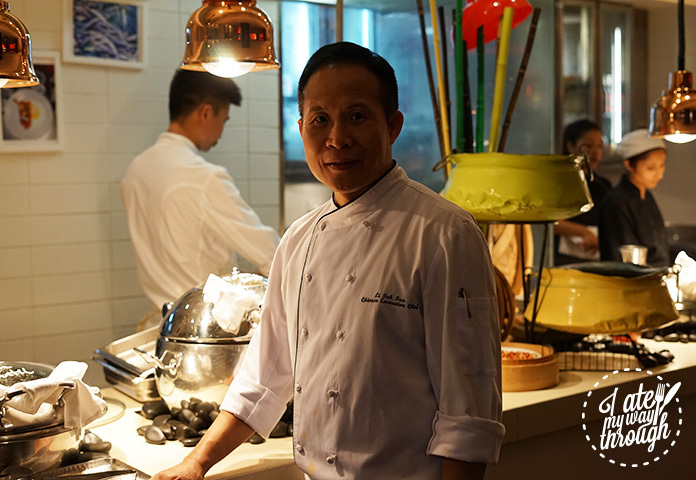 I was also lucky enough to have a quick chat with the head chef Li Tok Fan, who is the Chinese Executive Chef at Shangri-La Hotel in Chengdu. He told me he always flies all over China and the world with the team as guest chefs. This time they’re staying in Sydney for two weeks and will go back to Chengdu after the festival ends. One of the key considerations when producing this menu was needing to tone down the level of spice for the Australian palate while trying to keep the flavours as authentic as possible. Well, as a Sichuan food lover who cannot handle as much spicy as Sichuan people, I really appreciated this considerate adjustment. 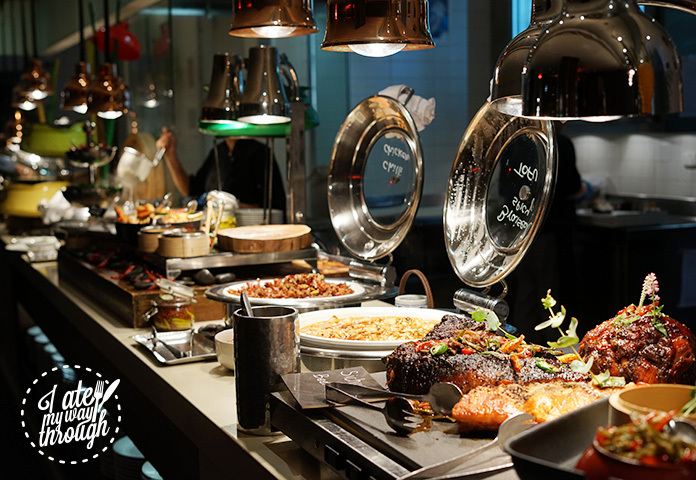 The Sichuan food festival buffet at Cafe Mix was priced at $85 per person. It was available from 6pm – 10pm from 4th to 13th April 2017. Find us on WeChat:IAteMyWayThrough to follow our food adventures in Chinese! With French language and literature background, Tianyi believes in everything bon chic bon genre in a refined French way. Having lived in 4 countries (China, France, the Netherlands, Australia), Tianyi has a keen eye on different cultures and cuisines. Food and travel keep her going. During her time in Sydney, Tianyi has finished her Master’s Degree in PR yet still strives for enriching her food and travel stories. You’ll find her trying new and unfamiliar things all the time. When she isn’t reading with a glass half full, she can be found on the surfboard riding the waves.